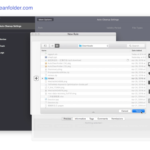 The Mac’s Downloads folder is a hodgepodge with a lot of content in it. you may not be able to clean up your Downloads often. 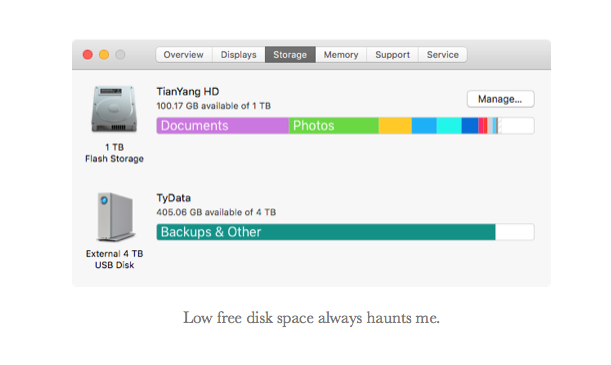 In the last 2 years, my Downloads have been put into millions of files and used more than 120GB of disk space. You can set multiple clean up rules. 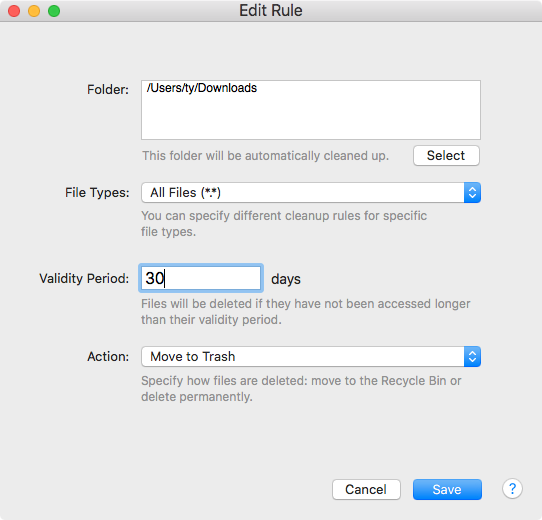 Each cleanup rule has a folder path, file type, file validity period, and clean up actions. 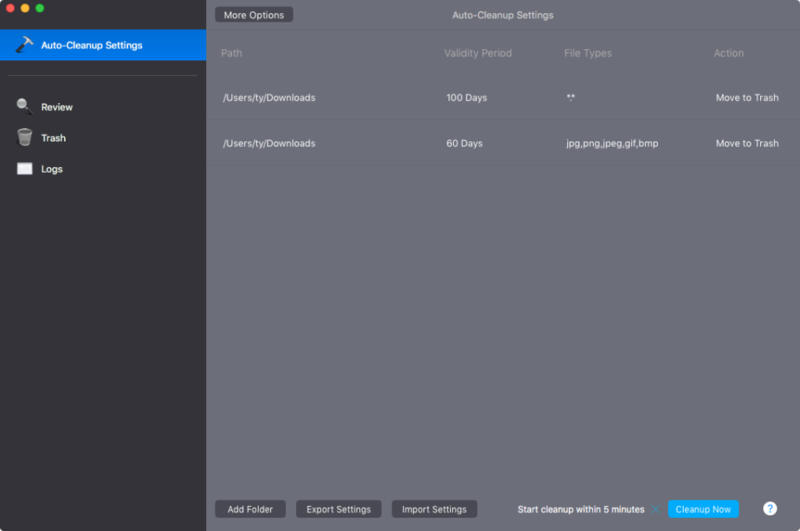 For example, You can set up to remove files that haven’t been accessed in Downloads for more than 100 days but set 60 days for image files. 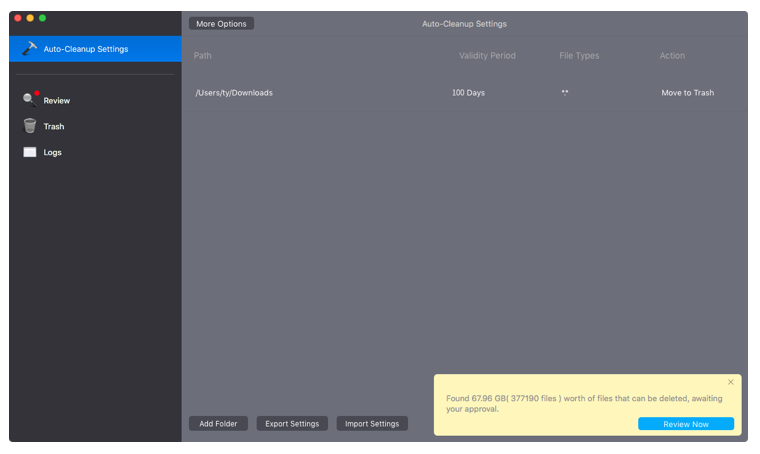 You can set AutoCleanFolder to clean automatically daily or weekly, or you can click ‘Cleanup Now’ to start a cleanup at any time. 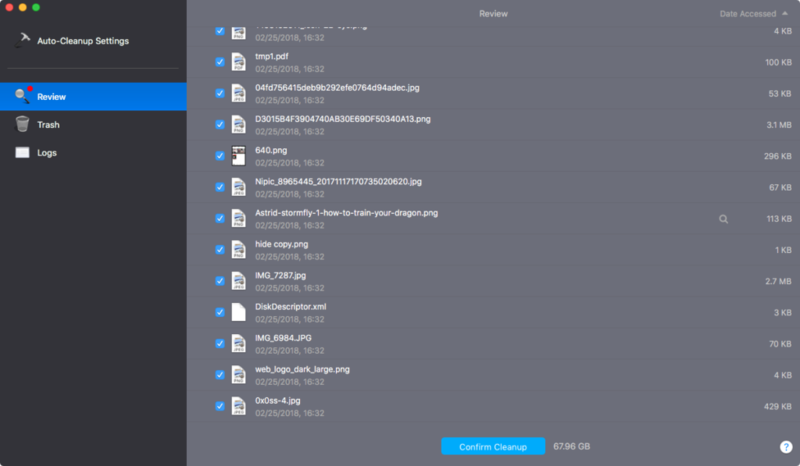 When the scanning process is complete, the app will pop up a prompt telling you how many files need to be cleaned up. These files must be confirmed by you before they are actually deleted. If you do not want to clean up certain files, just uncheck the files or folders, and finally, click the “Confirm Cleanup” in the Review to confirm. 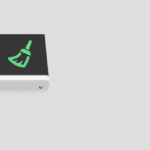 After the files are cleared, the current cleaning log can also be found in Logs, files can be easily restored if they are cleaned up to the trash. 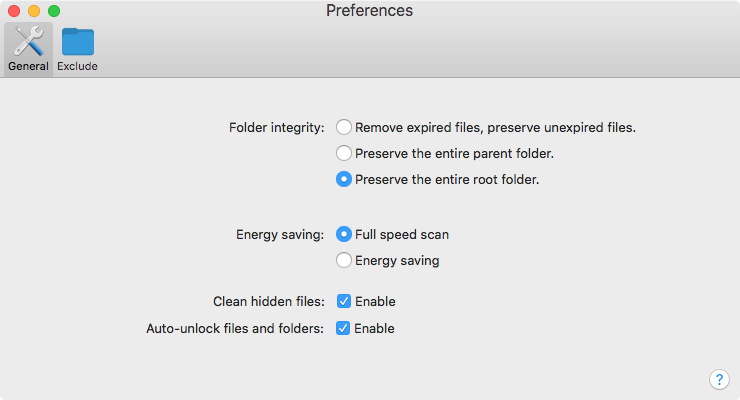 AutoCleanFolder has 3 modes to maintain folder integrity, you can set up it on Preferences. 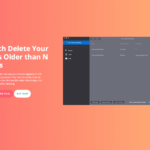 Expired files will be cleaned up and unexpired files will be kept, which is the simplest cleanup strategy. The entire parent folder is preserved as long as any file in the folder is not expired. For example: Because “~/Downloads/project/docs/index.html” was recently accessed, the cleanup retains all the files in the “~/Downloads/project/docs” directory, regardless of whether other files within the folder have expired. 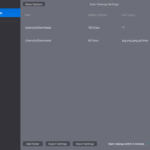 The entire root folder is preserved as long as there are unexpired files present in a sub-folder. For example: Because “~/Downloads/project/docs/index.html” was recently accessed, and your cleanup rule directory is “~/Downloads”, the cleanup will preserve all files, subset of files, and sub-directories within the directory “~/Downloads/project”. This option is the most prudent and ensures that your project files are fully preserved or cleaned up.